The Institute is established by a team of experts who are a perfect blend of industry and academia. The founders of this Institution and others, who are associated with us, are eminent educationists, distinguished personalities and philanthropic minded persons who have laid a solid foundation and are nurturing it to grow phenomenally. With commendable dedication, determination, optimistic and indomitable courage, the managing committee members have pledged to shape the institution to a gigantic position in the near future. ‘People hold the key’ reflects the value of our Institute. We pay close attention to the needs of each student and believe that successful business also comes from putting people first. 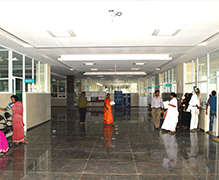 Sambhram Hospital opens its doors round the clock to patients with most modern facilities and equipments. It is providing an attractive and welcoming environment for patients and visitors with light, airy public spaces, comfortable waiting areas and modern consulting rooms. The services at Sambhram Hospital have been redesigned exactly for the needs of patients to enhance the quality of care and speedup diagnosis and its treatments. The frequently changing climates, pollution, stress and strain will make any human being sick. 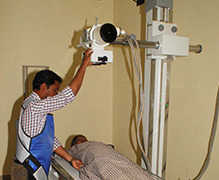 Sambhram Hospital offers highest standard treatments, regular health checks from dedicated physicians, caring nursing services, ultra modern life saving equipments and investigation systems not only benefit from modern new facilities but the way care is provided from hospital is also changing for the better. Sambhram Hospital is currently started with 300 beds, whereas the infrastructure is setting up to occupy 1000 beds in the next couple of years. Most modern Operation Theatre Units (OTs) to meet any surgical challenge.